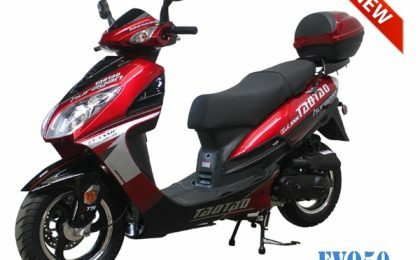 The TaoTao New Speed 50 is like the Superman of Scooters! 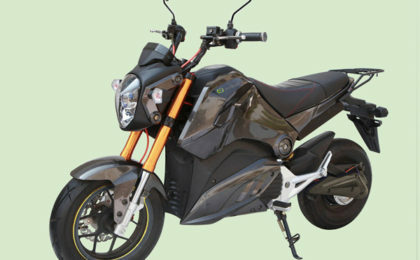 This practical and reliable scooter allows you to swap out it’s body panels for a custom new look. The base color is black, but there are other plastic kits that can be mounted easily. 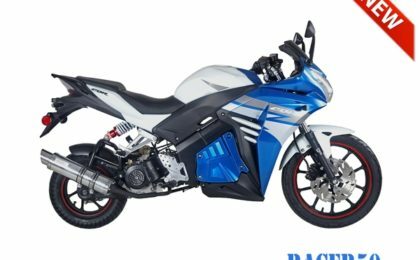 They come in: blue, burgundy, pink, and green.It features a small but powerful 50cc engine that makes you feel like you’re flying through the air. 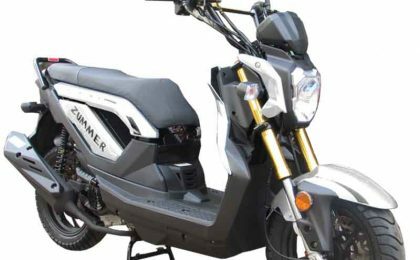 Additionally, you have two options to start it – electrical (with a button) and with a kick start (in case of a low battery). 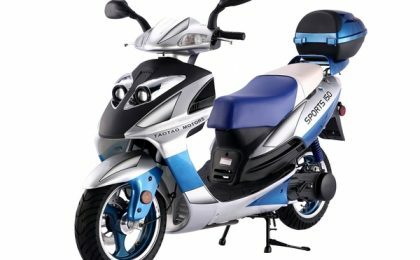 The TaoTao New Speed 50 is the ultimate ride to own around Miami or Fort Lauderdale or even to leave for a weekend getaway to West Palm Beach or Boca.It is also completely street legal and safe, since it comes with a standard hydraulic front brake and rear drum brake. 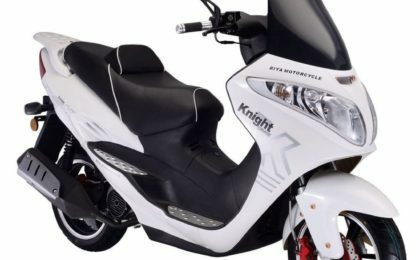 It has all the instruments and gadgets you’ll need to start fighting crime now, such as a headlight, speedometer, brake light, fuel level, turn signals, and more.This is the most unique scooter of all in the sense that you can customize it like no other 50cc or 150cc scooters with its interchangeable body panels.